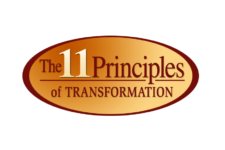 The 11 Principles of Transformation® Online Program is an intense transformative life experience. Throughout 12-weeks Ligia will guide you in your healing and empowering process. The 11 Principles have been offered as live workshops and live seminars. Now, you can experience them in the comfort of your home and allow yourself to experience a profound transformation from the inside out. Ligia shares with you her insights into each principle with videos and short meditations that will help you connect with your inner self. She will also be communicating with you through the forum, which is a space where you will be also sharing with others. The 11 Principles of Transformation online program offers all the benefits as the live workshop and seminars that have changed the lives of many people, as you can see in the testimonials. Furthermore, as you sign-up for the program, you will have lifetime access to the principles. 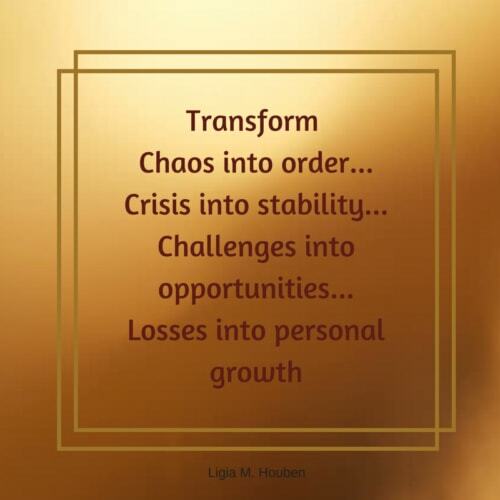 As you know, in life we confront different life transitions and having permanent access to the program will allow you to revisit the principles each time you may need them.